Just a quick post with today's advent calendar reveals. 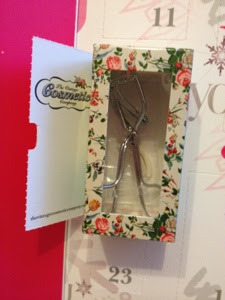 The Latest in Beauty Calendar produced a pair of vintage cosmetic company eyelash curlers. As I already have a pair of Shu Uemura curlers, these might form part of a little Christmas set I'm putting together for a friend. 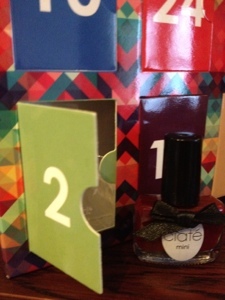 The Ciate calendar had another lovely polish in it today, called 'Dangerous affair' - a berry shade, perfect for this time of year. What did you get in your calendars today? what a lovely way to start your day! Don't you love December??! I love advent calenders! Wish I'd bought a beauty one instead of my chocolate one now, haha! he he - they are definitely more of a surprise!